Marvel’s mythical realm of Asgard frequently features the heroic (and in some cases not so heroic) exploits of Thor, Sif, and Loki, with Odin’s sons locked in an eternal battle of good versus evil. Every mythical realm has to have its own bumbling, yet heroic trio, right? 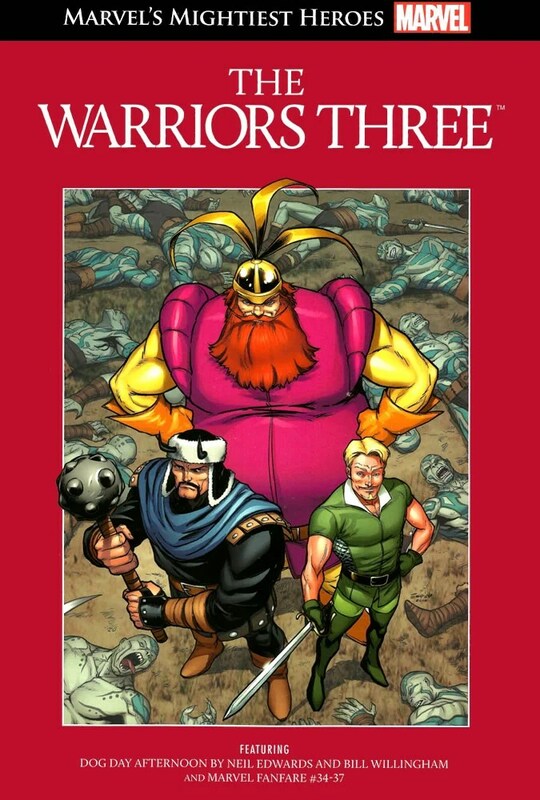 Enter The Warriors Three, comprised of a ladies man, a glutton and the stoic one. The Warriors Three graphic novel consists of two parts. The first, Warriors Three: Dog Day Afternoon, is a more modern interpretation of Asgard and the warriors. Evil organisation, A.I.M, has hatched a plan to release Fenris Wolf – destined to kill Odin – in order to harness his power. 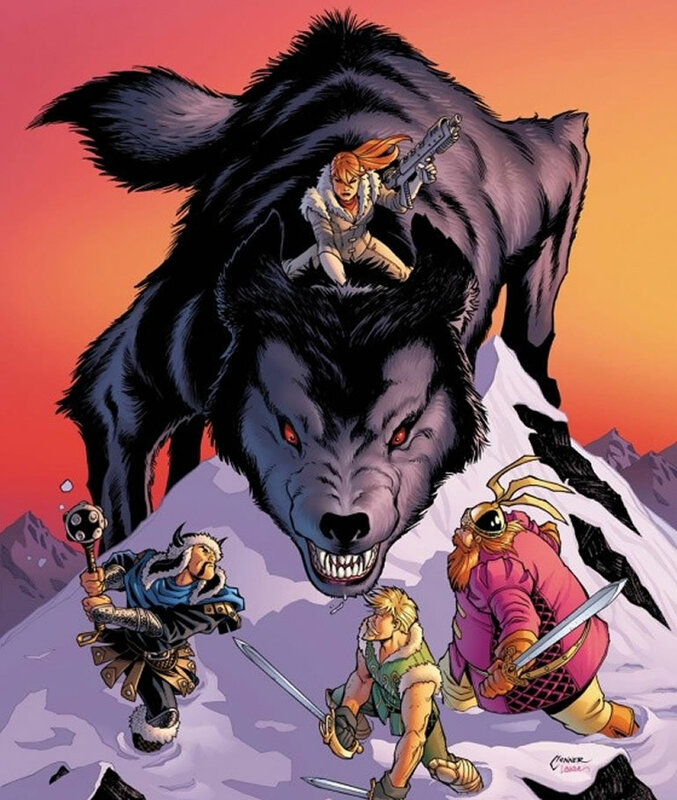 The Warriors Three, Volstagg, Fandral, and Hogun, are charged with finding out what has happened to the mighty demon wolf. The story also recounts how the three came together and what joins them. Dog Day Afternoon is such a lovely tale of friendship, honour, and good versus bad. The dynamic between these three misfits – I mean friends – really drew me into the story. Neil Edwards has done a stupendous job of bringing this tale to life, and Bill Willingham’s artwork lends to the tale’s weight. The second story, featured under the Marvel Fanfare banner, tells a different story of our heroes. 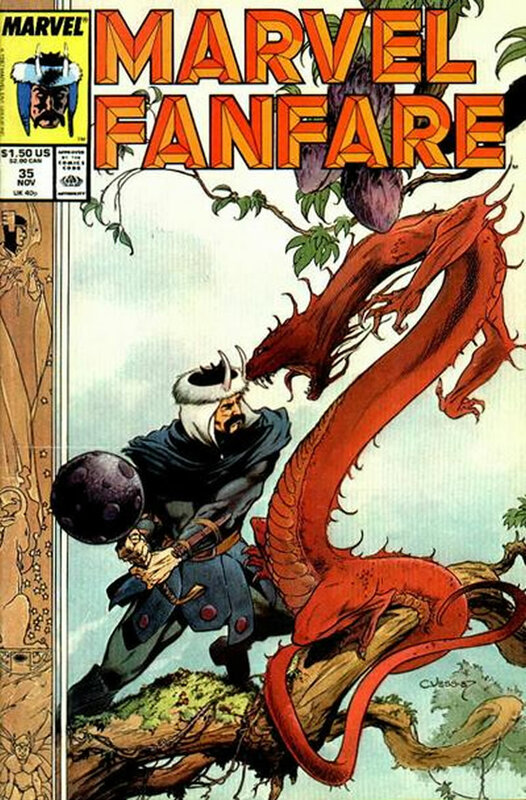 This is a time when Asgard was a more whimsical place and not as serious as modern Marvel interpretations. Think of it as Disney with lewd humour and violence. The story begins with two lovers fated to wed or they will unwittingly bring about oblivion to the nine realms. Upon hearing of the wedding, Loki is upset he wasn’t invited and decides to sabotage the matrimony. Loki turns the groom into a goat and tricks all looking for him into searching all over the nine realms. The first three issues in this four issue arc are told from the perspective of each warrior and contain their misfortunes along the way. It’s a very light-hearted tale of dragons, castles, maidens fair, and Volstagg eating an innkeeper out of house and home. I have absolutely nothing negative to say against this tale. It’s well written, gorgeous, and easy to follow. It’s perfect. This is easily one of the best graphic novel collections in the Marvel’s Mightiest Heroes line. I can – and do – highly recommend it to anyone looking for a light and interesting read.